Juan Manuel Parado responds to a statement released by internationally renowned Venezuelan orchestra conductor, Gustavo Dudamel, on May 4th, “raising his voice” against the alleged repression in Venezuela. I read your appeal, Gustavo, and I am deeply sorry that a person such as yourself, who so many of us have applauded and respected, is making use of their prestige as an international artist to call on President Maduro to rectify [the situation], but that you do not call for reflection from [opposition leaders] Freddy Guevara, the Capriles and their followers, who are calling for deaths every day. It would have been of great help if you, like Pope Francis, had encouraged the Venezuelan opposition, which is rejecting dialogue, to partake in dialogue, in the full exercise of politics. It would have been quite helpful had you demanded that [OAS Secretary General] Almagro not get involved in our domestic affairs and even less that he try to have the Inter-American Democratic Charter applied [against Venezuela]. It would have been extremely elegant had you called on the criminal, armed and violent groups to demobilise; the ones that are besieging the motorways of Barquisimeto and Valencia, preventing the transit of civilians, neighbors, their own people, even if they are on their way to hospital. 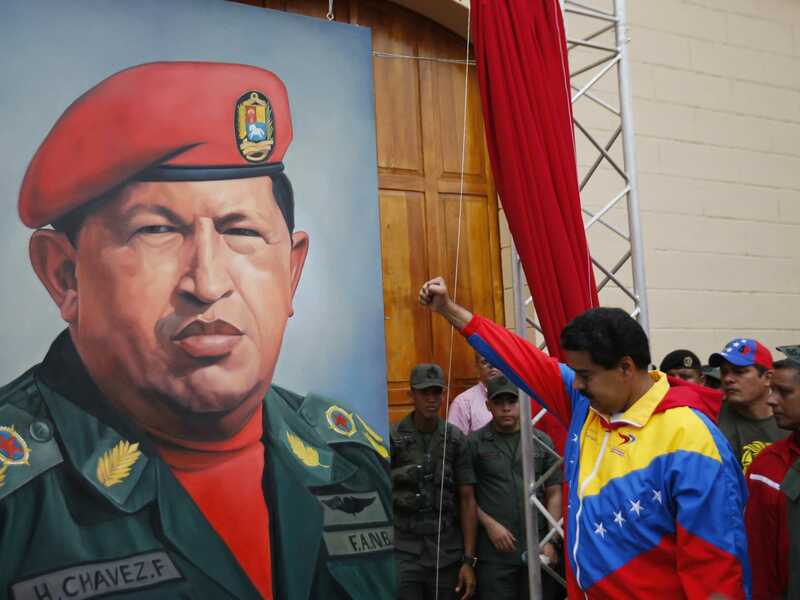 How well you would have been received by the Chavista youth that admires you, if you recognised that they also have dreams, liberty and a sovereign homeland, although they might be based on sacrifice. We would have given you a standing ovation if, on the day that Tulio Hernandez called on people to throw flower pots [to neutralize] Chavistas, you had rejected him with the strength of your voice, and that echoed across the planet. Gustavo, my friend, the country is not just that middle class which is protesting in the east of the cities, nor is it just the poor who are resisting with increasing strength the attacks of this crisis. The country is all of us, brother, and when you, a figure who should represent all of these people, intervenes on behalf of those minorities that are using violence and hatred, you are undermining yourself, dividing yourself and you are losing legitimacy. The great majority of the media which are today giving coverage to your voice, are lying about Venezuela. You, a prestigious artist, could have made use of that tool at your disposal to raise a point of order against the conflict that the country is living, by calling for dialogue and peace. I am sure that you would have had a lot of influence. In your reflection, you say that the only weapons that you can give a country are books, paintbrushes, and musical instruments, but you don’t recognize that it is only the Bolivarian Revolution that has fully provided the people with those tools. You are not the only person to have dedicated your life to art as a tool for transformation. There are tens of thousands of us who have had the opportunity to dedicate ourselves to creative professions, thanks to the creation of publishing houses, the public Villa del Cine film production company, theatres, and by the way, thanks to the million-dollar support for the “Sistema” orchestra program where you came from. You say that democracy is based on respect and recognition, but you do not call on those sectors that have never recognized that the majority of Venezuela voted for Maduro, and that is also an expression of the democracy that you defend. Gustavo, in the shantytowns, in the countryside, and working class areas, we are also “smothered by this unbearable crisis”, but we are not going out to burn, nor to kill, those who we hold responsible. We are also part of the country, that same country that admires your genius, but who right now see your behavior with great sorrow. To conclude, I call on you to urgently rectify this erroneous vision that you have made public with the full weight of your international voice… This people asks you for respect, with the same firmness with which we have shown so much respect for you. Translated by Rachael Boothroyd Rojas for Venezuelanalysis.